Powder room is a part from the bathroom and usually it is a half bathroom with a suitable vanity and bathroom sink with mirror. You can decorate your powder room in every single style, but it need to fit with the bathroom decoration. 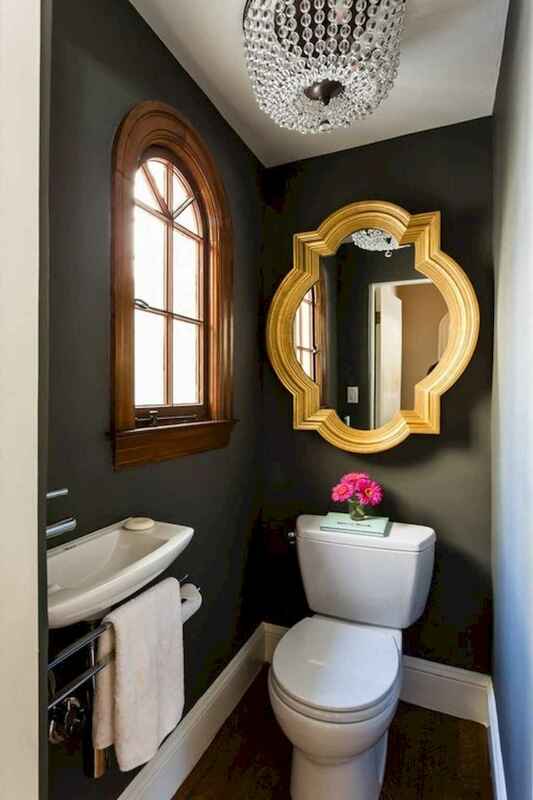 Remodeling your powder rooms can turn them into elegant and fun rooms for guests. The secret to pulling off a big impact look with petite square footage. Decorate like you would in any other room. Look at our beautiful various powder room design and decor ideas and find the right one for your perfect home.